Burn Calories, Get Lean and Stay Strong! When people think of body building they think ARNOLD. I actually think this a good comparison. Classic Arnold was a specimen just like you. Young. Energetic. Able to eat and do whatever you want with little consequence. Todays Arnold is still a sharp, passionate person, but his body is not what it once was. This where your mindset has to shift. How can you build your best body now when you’re not the person you once were? At Results Driven, we deal with people who are in between current and classic Arnold. At this point in your life, building your best body means becoming more limber, strong, coordinated and agile. Body building doesn’t mean back day, chest day and biceps day. We’re talking total body movements like squats, planks, rows and carries. We’re training on the ground, on your hands and knees, kneeling and standing. We’re doing cardio with ropes, sleds, medicine balls and resistance bikes. We want to help you body build the right way! We want you to feel good, confident, strong and every positive adjective because you deserve it! So here’s a look at how we systematically look at exercise to get clients build their best bodies. The FMS is the first place we start with any member who comes through our doors. Would you agree that guessing wastes time? When members start they want results NOW! So what can we do to meet their needs? By starting with an evaluation. The Functional Movement Screen is an objective assessment tool that helps us make the most effective exercise choices to reach their goals. How many times do we walk into a gym and not know what’s right for us and what isn’t? What might hurt and what’s going to feel good? This helps our coaches make sure you feel GREAT during and after your workout. This concept is a game changer! Once we’ve have a better idea of how you move our goal is to train in a variety of positions. We’ll do exercises on our backs, on all fours, kneeling and standing to challenge the body in different ways. Why does this matter to you? By training in different positions we’re able to rehabilitate movement. The term, “developmental sequence” refers to the way babies developed from little humans, helplessly lying on their backs to upright children and beyond. Typically, people only train in 2 positions, standing or sitting. By peppering in these other positions your body can regain some of the mobility and stability it’s lost. Lifting is scary to a lot of folks. Why? Because they’re scared of getting injured. That’s why we take the precautions we do before the member even starts exercising. 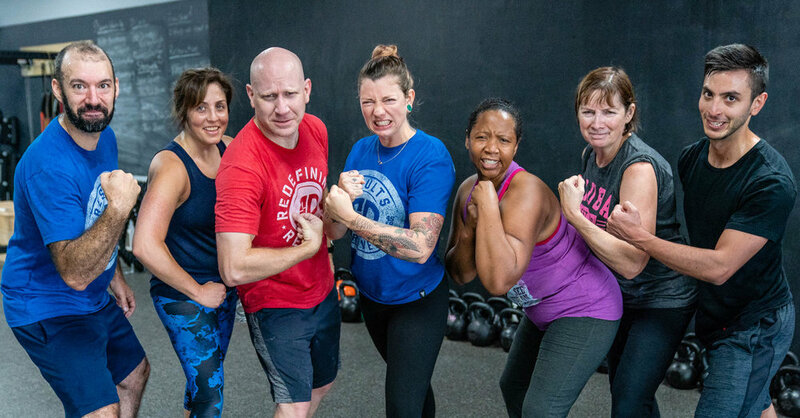 By screening the member and getting to know them, then understanding how to train in different positions, members are able to explore safe exercise choices for them and their body. Ultimately, resistance training has multiple benefits from increasing bone density to building muscle and helping in the fat loss process. When people think of “lifting,” they think of sweaty dudes grunting and throwing weights around but it doesn’t have to be that at all. We encourage members to squat, pull, use their hips, push or plank and carry things. It really is that simple. As they learn to move their bodies, they can increase the complexity and learn even more. Another big part of building your best body is conditioning or endurance. We don’t talk about it too much because a lot of people who frequent the gym typically spend a lot of time on cardio equipment, but why is it important? Consider this, you’re recovering from an injury and you’ve been limited, pretty much going from work to bed and back. What happens when you try to workout the first time back? You’re pretty damn tired, right? This seems obvious but conditioning is the quality that allows us to do more work. When people first start exercising one of our objectives is to just keep them moving. We use heart rate monitors to make sure we’re not over doing it because that would have a negative effect on their ability to adapt. 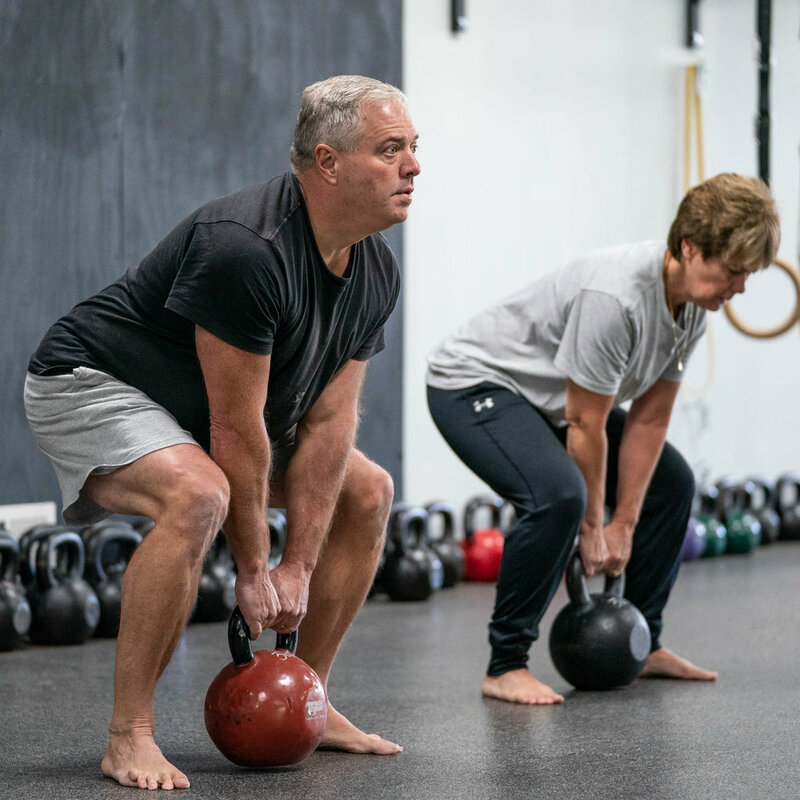 By helping the member do just enough work without overexerting themselves, coupled with the next topic, recovery, we’re able to build up their conditioning which allows them to do more work, get stronger, learn more skills and potentially increase their ability to ward off injury. It only seems natural that the list would end here. If we do all of these things, but never recover from them, eventually it will catch up with us leading to burn out, injury or potentially developing a health issue. What is recovery? It comes in many forms. Sleep, stress reduction techniques, eating well, hydration, even light exercise like walking or hiking. It’s really difficult sometimes to take care of ourselves after a long day, but taking the extra time to have a good meal, get a little extra sleep or go for a walk with a pet or loved one can make a huge difference in how our body adapts to the stress we put it under. Older PostLess Supplements, More Results?